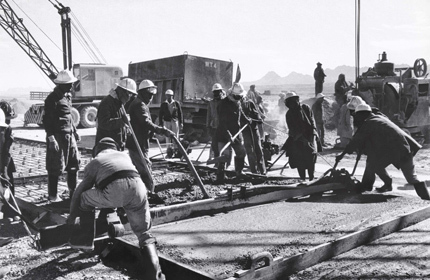 In Small Things Remembered » Building long-distance roads across Afghanistan. Building long-distance roads across Afghanistan. 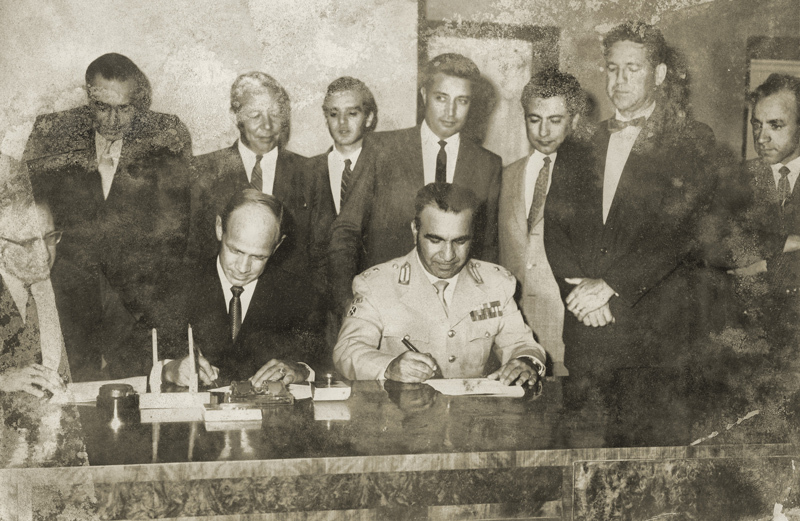 a. Brigadier Mohammed Azim (right foreground), Deputy Minister of Public Works, signs an agreement with American companies to build the Kabul-Qandahar highway. b. Constructing the route from Kabul to the Khyber Pass. Before the 1960s, much of Afghanistan’s road system consisted of dirt and gravel routes that made long-distance travel arduous and even dangerous. 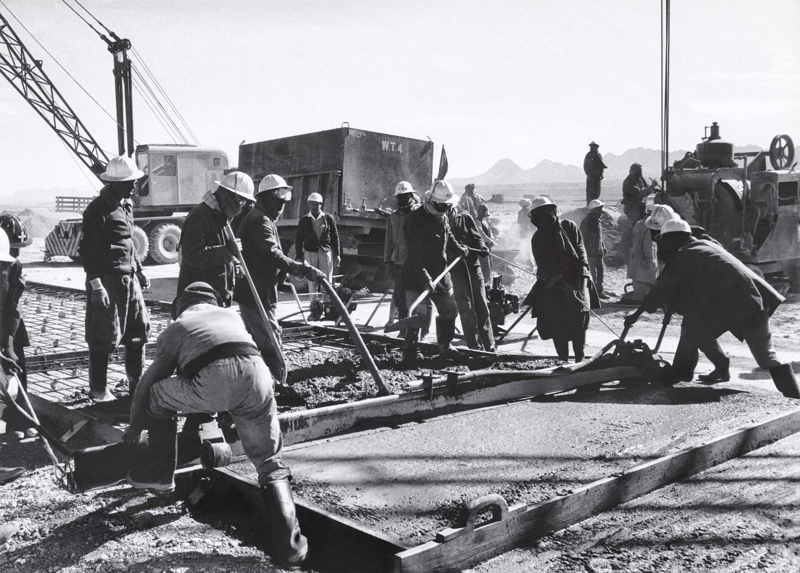 After initial efforts by ICA to construct modern highways, the U.S. Army Corps of Engineers stepped in to finish the job. Their involvement was no accident: the American Ambassador in Kabul, Henry A. Byroade, was a former Army officer and engineer who had overseen the building of airfields during World War II.